Many small business CEOs and CFOs say they would like to offer a retirement plan to their employees, but they’re concerned about the cost, complexity and red tape they think will be involved. This is probably one reason why just one-third (34 percent) of companies with fewer than 100 employees offer a retirement plan, compared with about two-thirds (or 64 percent) of all companies, according to the Employee Benefits Research Institute. Some significant changes in the retirement planning landscape over the past decade or so, however, have opened the door for practically any business to be able to offer an employee retirement plan. The first of these was the Small Business Job Protection Act of 1996, which introduced 401(k) plan “safe harbors.” These allowed businesses to bypass complex non-discrimination testing requirements if their plan satisfied the safe harbor notification and design requirements. Then, the Economic Growth and Tax Relief Reconciliation Act of 2001 boosted the annual contribution limits for qualified retirement plans. It also introduced “catch-up” contributions whereby employees at least 50 years old could contribute additional amounts to their retirement account. And in 2006, the Pension Protection Act made these increased contribution amounts and catch-up contributions permanent. Simplified Employee Pension Plan (SEP) — With a SEP, separate IRAs are set up for all employees. All contributions into these accounts are made by the company—employees do not make any contributions themselves—and these contributions are 100 percent vested as soon as they’re made. One of the biggest benefits of a SEP is that the company can vary contribution amounts each year based on company performance and cash flow. Up to $51,000 can be contributed to each employee’s SEP in 2013, including the owner. SIMPLE IRA — This plan is similar to a SEP, but employees can make contributions to their SIMPLE IRAs. Also, the annual contribution limit is lower: $12,000 in 2013. However, employees who are at least 50 years of age can make an additional $2,500 catch-up contribution for a total contribution of $14,500. Employers must make an annual contribution for each employee who participates according to a matching formula, and all contributions are immediately vested. SIMPLE 401(k) — This is sort of a hybrid between a SIMPLE IRA and a traditional 401(k) plan. Like the SIMPLE IRA, companies with 100 or fewer employees are eligible to establish a SIMPLE 401(k). But non-discrimination testing is not required like it is for a traditional 401(k) plan. Employees can make annual salary-deferral contributions of up to $12,000 (or $14,500 if they are at least 50 years of age) in 2013, while employers can make matching contributions if they choose to do so. Roth 401(k) — This hybrid plan combines the features of traditional 401(k)s and Roth IRAs. The annual contribution limit is the same as it is for a traditional 401(k) plan: $17,500 (or $23,000 for employees who are at least 50 years of age) in 2013, which is much higher than the limit for a Roth IRA ($5,500 or $6,500 for employees who are at least 50 years of age). Like Roth IRAs, Roth 401(k)s allow employees to save money after-tax and accumulate and withdraw earnings tax-free. However, they cannot deduct their annual contributions like they can with a traditional 401(k) or IRA (depending on their income). As you consider the potential benefits of offering a retirement plan to your employees, also keep in mind that plan sponsors must fulfill fiduciary duties. In short, this means that your retirement plan must be created and operated for the exclusive benefit of your employees, and that all plan decisions must be made with your employees’ best interests in mind. In particular, you must deposit funds withheld from employees’ paychecks into their retirement accounts within a reasonable period of time. Usually, this means that these funds must be deposited into employees’ accounts within 15 days of the end of the month when the deferral was made. Holding onto these funds for longer than this is not only considered to be a breach of fiduciary responsibility, but it can also result in criminal prosecution against the company. Los Angeles and Southern California CEOs and CFOs can realize many potential benefits for their companies by offering employees a qualified retirement plan, including providing a more competitive employee benefits package, which can boost workplace morale and lower employee turnover. 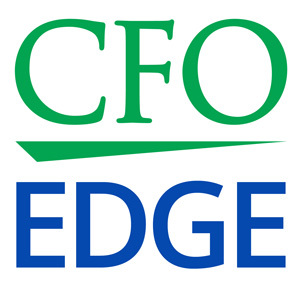 An outsourced CFO services provider can help you examine the different plan options available and choose the one that is the best fit for your business and your employees.